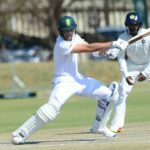 Stephen Cook struck a second-consecutive half-century as South Africa A ended day three against India A with a 184-run lead. Opening batsmen Ravikumar Samarth and Sudip Chatterjee set the tone for India A with a 106-run partnership as they ended day two on 181-3. India A sparked a final-session fightback, as SA A ended day one on 258-5 after a solid start in the second unofficial Test. 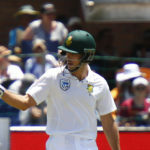 SA A captain Aiden Markram expects India A to bounce back hard when the sides clash in the second four-day match in Potchefstroom on Saturday. 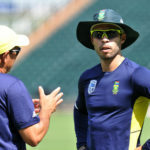 We discuss five SA A players with an imminent Proteas future, featured in the latest edition of SA Cricket magazine. 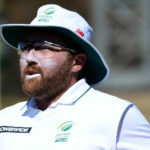 South Africa A are four wickets away from victory against India A going into day four at the Tuks Oval. 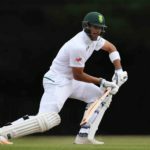 Dane Piedt and Beuran Hendricks took three wickets apiece to knock India out for 120, as SA A stretched their lead to 292 by stumps on day two. 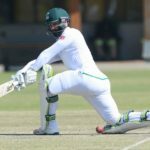 Stephen Cook and David Miller shared a 138-run stand to guide SA A to 274-4 on day one of the first four-day match against India A in Pretoria. Shreyas Iyer’s 140 off 131 balls led India A to a seven-wicket victory against SA A in the Tri-Series final, despite an innings-saving ton by Farhaan Behardien. 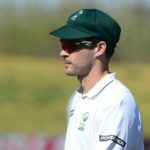 Aiden Markram will captain the SA A side in their two four-day matches against India A later this month. Aaron Phangiso’s 3-39 and Reeza Hendricks’ 76 helped SA A beat Afghanistan A by seven wickets in Pretoria on Saturday. Manish Pandey’s 85-ball 93 saw India A beat SA A by one wicket, despite an innings-saving ton by Heinrich Klaasen. Reeza Hendricks scored 173 and Tabraiz Shamsi took 4-19 as South Africa A beat Afghanistan by 164 runs in Pretoria. 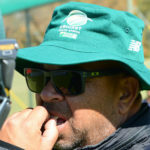 Shukri Conrad said that his SA A side needed the win against India to build momentum for the rest of the triangular series. Farhaan Behardien will be in the South Africa A side to face India A and Afghanistan A from 26 July till 8 August.